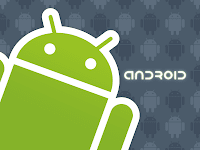 Android Market Predicted to overthrow the "App Store" ~ " World Information "
Android Market Predicted to overthrow the "App Store"
As the growing popularity of Android, the number of applications developed for this operating system more and more. Even predicted soon, applications on the Android Market will be higher in number than the Apple App Store. Research from Research2guidance company in Germany said that though initially slow, the growth of Android Market began to exceed the Apple Store. In April 2011, as many as 28 thousand new application added to Android Market, compared to 11 thousand in the App Store. Until May 2011, the Android Market had 294,738 applications. This amount is approaching the App Store that had 381,062 applications at the same time. By analyzing several factors such as higher growth than the App Store, Android applications, Research2guidance predict the number of applications will exceed the Android Market App Store around August 2011. Research2guidance also revealed several other points. For example only 36% paid Android applications, compared with 60% application in the App Store. Apple's revenue edges will still be higher than Google. Quoted from PCWorld, Saturday (05/07/2011), although the growth of Android Market so soon, but the number of fixed income more dredged App Store. Projected, Apple will reach about three-quarters of total revenue of all stores and existing applications in 2011.